Top page > List of companies > Ficha Inc.
Ficha utilizes our unique machine leaning technology combined with high precision and practical functions to form the unique object detection software. 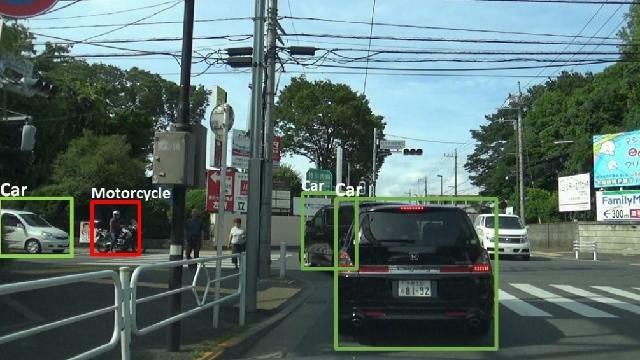 We focus on the automobile market to develop the object detection software for automobiles along with the evolution of this field. We continue to cultivate our skills to provide a better algorithm. Finally, we want to grow as the leading company in this industry. We want to lead the market with our unique software technology. 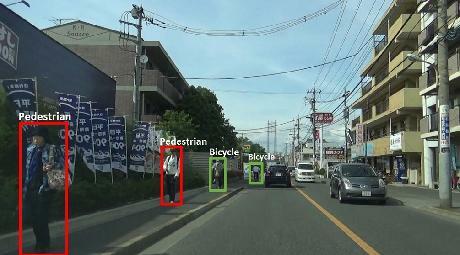 〜Able to detect pedestrians, automobiles, bikes, road signs, traffic lanes with high speed and high precision〜<br><br>Able to detect Pedestrian (PCW) and bikes<br>Able to detect pedestrians and bikes with high precision with images from automobile camera.<br>The device could detect pedestrians crossing the roads and alerts them with alarm. Using the camera parameter, the system will be able to calculate the distance between cars and the pedestrians and may sound different alarms. Ficha,s unique object detection software could even recognize difficult FIR images with high precision to detect pedestrians and bikes. The system is able to detect different types of automobiles such as normal luxury cars, big cars, bikes etc. with high precision. It can calculate the distance between your car and the car in front of you and to sound an alarm if needed. 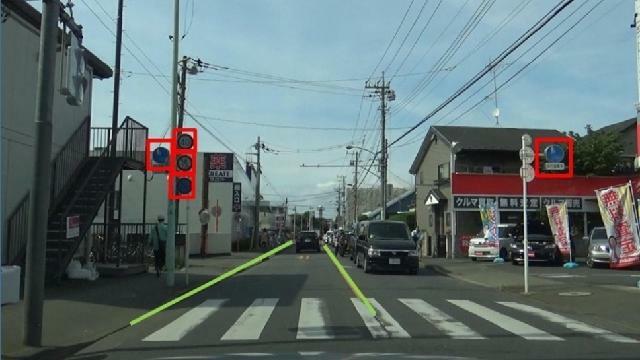 The system can detect the traffic lanes with high speed and high precision. It provides supporting curves, supplemental direction lines for switching lanes. It also provides an alarm system to prevent cars from dropping off the lanes. It could also detect road signs such as the stop signs, speed signs etc. it could offer different alarms according to the types of the signs. Nearest station: Tokyo Metro Yurakucho Line: Higashi Ikebukuro station walk for 2 min. 〜August, 2005〜<br> Established Quanta view company, starting the development and sales of 3D measuring device and lenses inspection device <br>〜July 2015〜<br>The lenses inspection device business divided, with the object detection technology invented by CTO Cao, we relaunched the company.<br>〜October 2015〜<br>Received the grand prize in the third TOKYO INNOVATION SUMMIT<br>〜February 2016〜<br>Made a total of 1 billion capital fund in adjustment, sponsored by the third party <br>〜April 2016〜<br>Received the best award in『Rise Up Festa』of the third BTMU business support program hosted by Mitsubishi Tokyo UFJ bank.